Thank you to Martha and Marley Spoon for providing me with product in exchange for review purposes. All opinions are my own. As I have said many times over my husband and I love to try new foods! 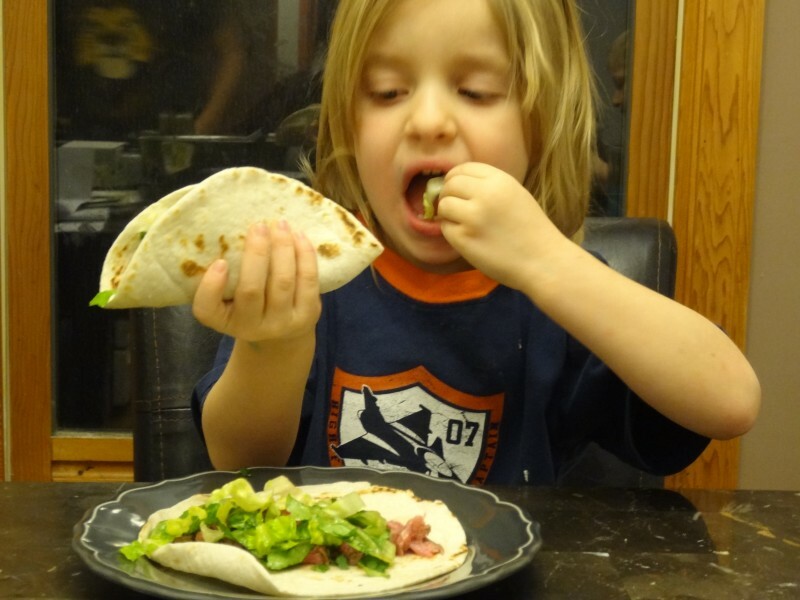 I think our very open mind regarding food has enabled our children to have the same open mind regarding food. I can easily say that our children are willing to try every food we put in front of them and I love it. Their open pallet makes it easy to try new restaurants together as well as new meals within the home. Martha Marley & Spoon fits so perfectly within our home for so many reasons. When it comes to menu options Martha Marley & Spoon offers tags on their menu options such as kid friendly, dairy free, under 3o minutes and so on. The tagging feature was really helpful for us when deciding if something was too laborious for our sometimes rushed meal times. We chose three comfortable but unique spin type recipes. Our meals served four people perfectly (myself and my husband along with our two kids aged 4 and 6). We had Carne Asada Steak Tacos, Pan Roasted Chicken Panzanella, and the Southwest Turkey Burgers. We were the most excited about the Carne Asada Tacos as this pregnancy has kicked in a mexican food craving that I just can’t fulfill. 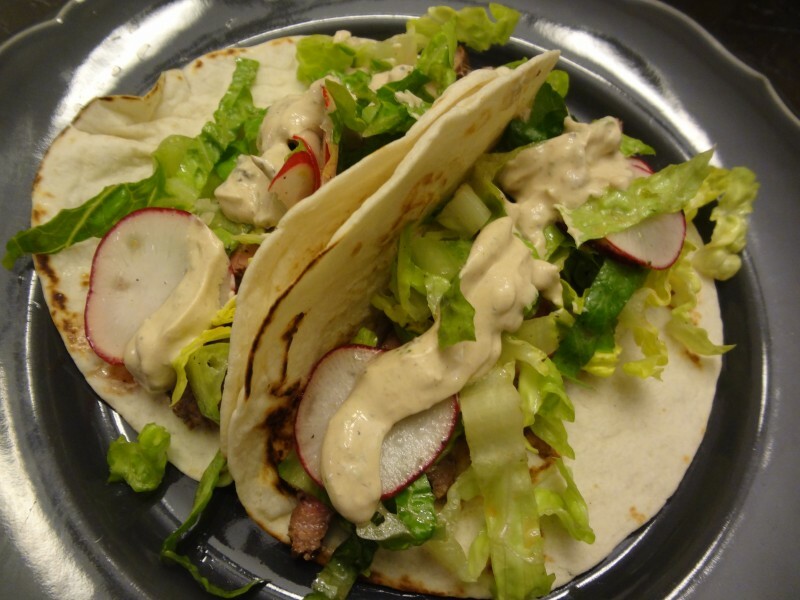 These steak tacos were so good, my kids loved the salad that was served top and on the side! Such perfect pairings of flavors and the right zip from the zest of the lime. I’m not a fan of cilantro and I was happy that I could control the cilantro within this meal as typically at a restaurant you might not know cilantro was in a meal until its served to you. I loved making this recipe because I learned so much from it. I had never used lime zest in a taco recipe before and noticed a huge difference fresh squeezed lime juice makes over bottled. The next meal on our list was the Southwest Turkey Burgers. I have never cooked with ground turkey before so the entire process of this meal was new to me. The step by step guide did an amazing job at keeping me from failing. I learned how delicate the meat texture was to cook with as well as the length of time needed to fully cook the turkey burgers. My family had never tried a southwest type burger before and was quite impressed with the way these turned out. 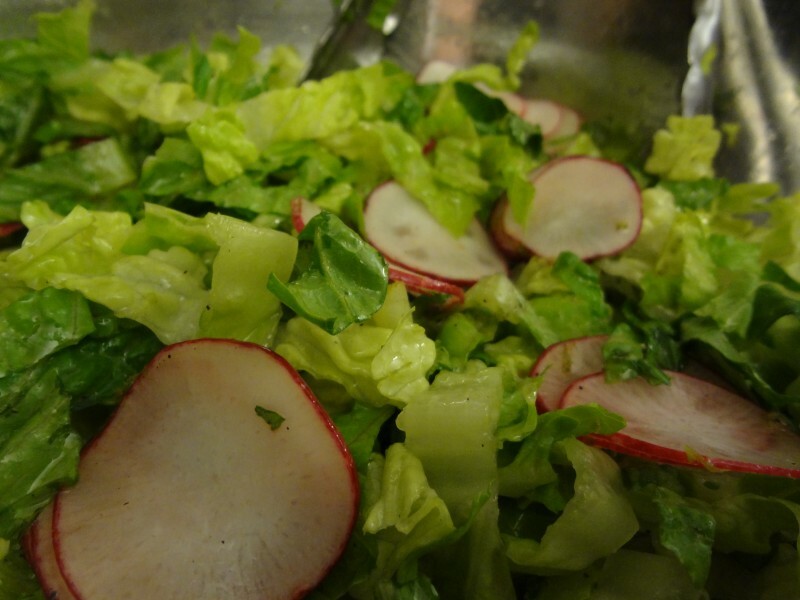 Both my kids really enjoyed the raw broccoli slaw! 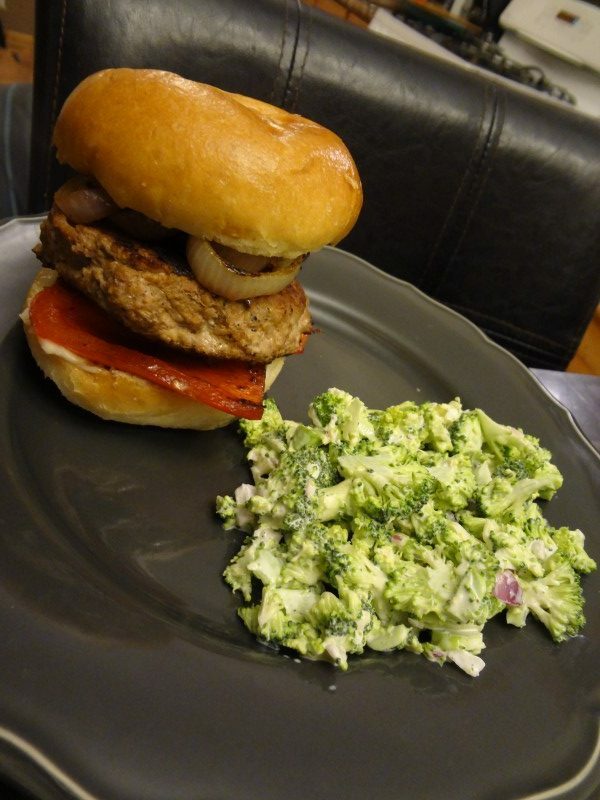 My husband wished for a tangy sauce to have been paired with the burgers other than just mayonnaise, we all decided it wasn’t our favorite but that we liked the new and different style of the whole meal. 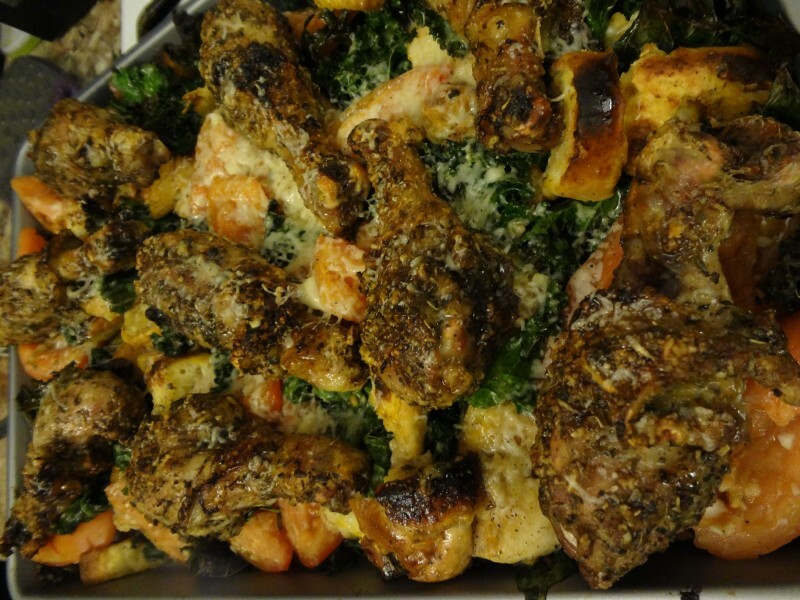 The underdog of our recipes this week was the Pan Roasted Chicken Panzanella. I chose this meal for a lack of wanting anything else on the rest of the menu and I am so glad that I did. My husband loves Italian food and I’m okay with it as long as it isn’t loaded down with noodles so this was a perfect compromise for us. I learned a ton from this recipe. I have never ever broiled chicken from start to finish as the main source of cooking. I am always looking for ways to incorporate leafy greens into our diets more often and this roasted kale opened new doors for us as a family! I’ve also never really eaten roasted tomatoes and they paired amazingly with this entire dish. Each and every single bite of this meal was so full of flavor it was hard to believe that that spices were limited to salt, pepper, garlic, and Italian seasonings. Myself and my family loved this whole meal so much we made it on our own within a week of making it the first time! I will add that the second time wasn’t as good but I think that was due to a different type of Italian seasoning that we used as well as a lower quality red wine vinegar. 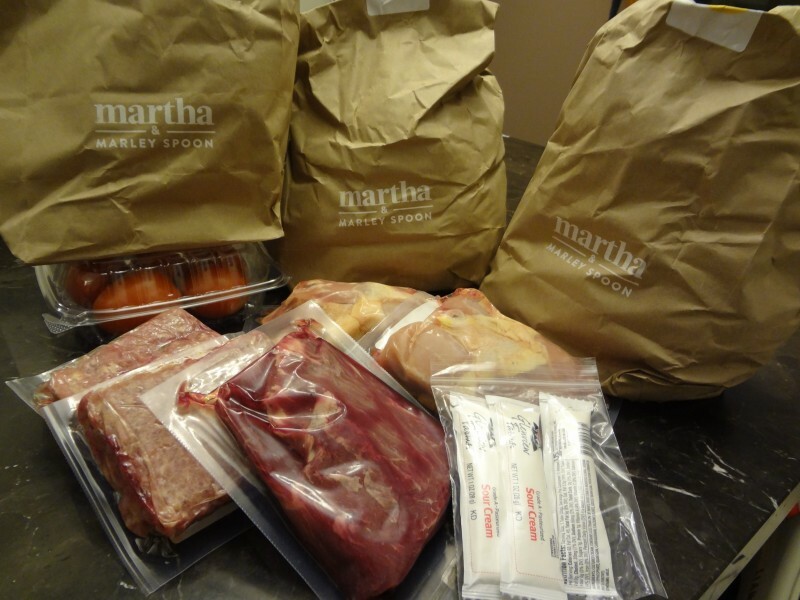 Martha Marley & Spoon goes above and beyond to use the highest quality ingredients, the best sourced ingredients and makes sure that you have access to that information should you need or want it. I can not say enough good things about my entire experience with Martha Marley & Spoon. 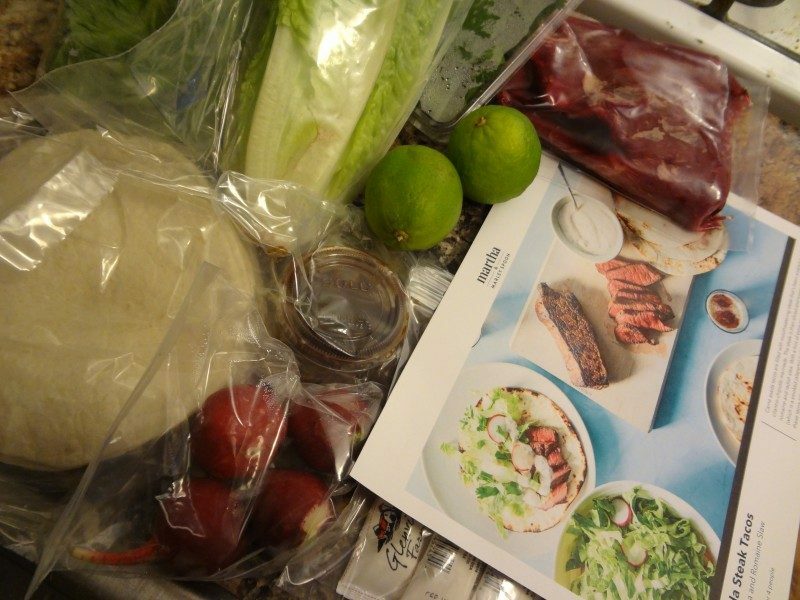 This subscription service taught me a lot about new types of foods and how to best choose quality ingredients for the meals I cook at home. I never once felt out of my element with the step by step recipe cards despite actually being out of my element multiple times with these ingredients. What a cool service for making great meals! 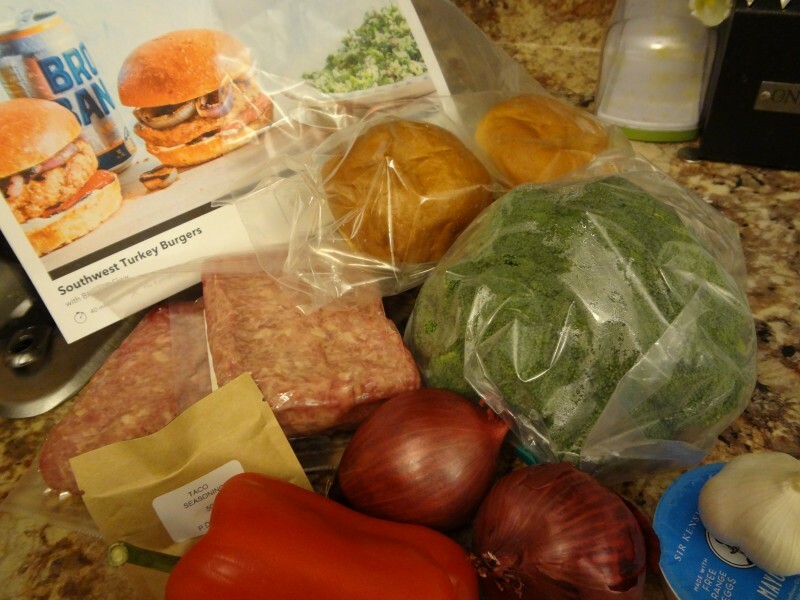 I tried a different mail order dinner service like this one and I loved it! Unfortunately, my hubby isn’t as adventurous as I am so we haven’t ordered it again. Awe maybe a good choice for when making dinner for a guest! I have not heard of this company before. I will have to check them out. Your meals sound amazing. I hadn’t either! But boy am I glad I found them. 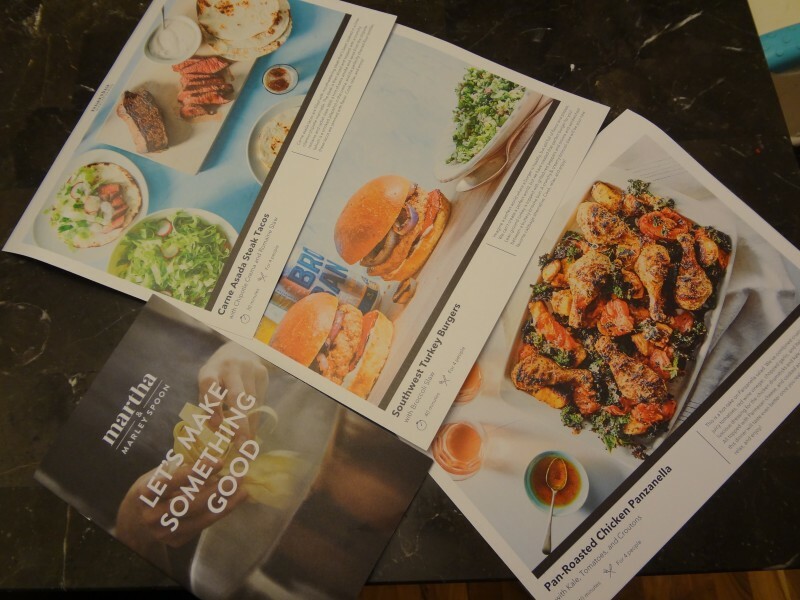 I just looked at Martha’s food delivery and one other, I think Sun something…, but I have tried a few like plated and blue apron and I love them. My husband can easily cook these meals when I am ill with my Lupus and they are a fun mix up for us. Those tacos sure did look good too! Great review and we are working on our rainbow baby, going into month 3 now. Congrats on baby 3!! I was so surprised at how much we enjoyed Marthas box! And yes it’s so helpful for husbands to get the knack of something new in the kitchen. Sending baby dust your way!!!! It will happen at just the right time! These meals look amazing. I like that there are tag options such as meals under 30 minutes and kid friendly. I will be checking them out. The tags are so helpful! I have never heard of this one, but it definitely sounds like they use the highest quality of ingredients! I would love to try a service like this, not only would it be nice to have meals delivered but to try new things as well. 🙂 Thanks for sharing your experience. It’s good that they include step by step instructions for the different foods. I have been seeing a number of these types of services pop up. I have tried a different one, but not this one. 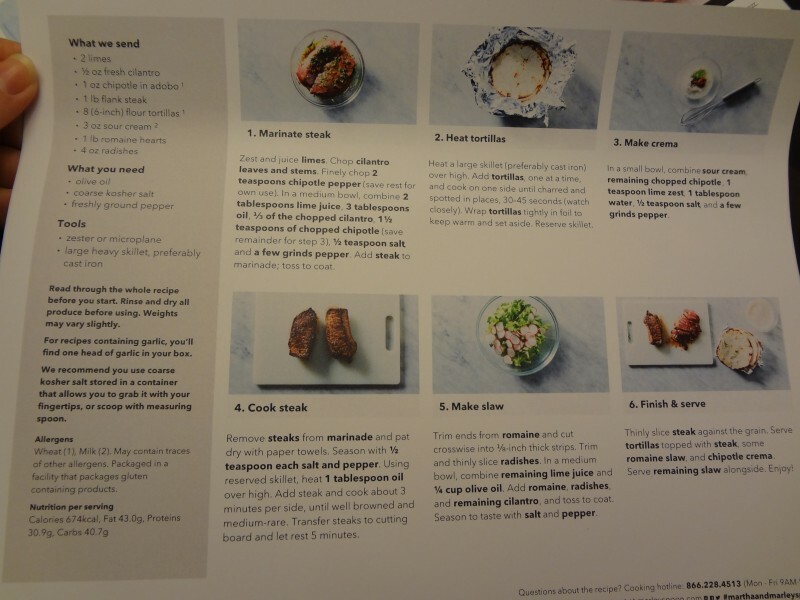 I liked all of the ones you were offered, and it is always nice when you cook at home and can control whats in something- like you I am not a cilantro fan. (it just tastes odd) I like the turkey burgers and the Italian dish looks good too. 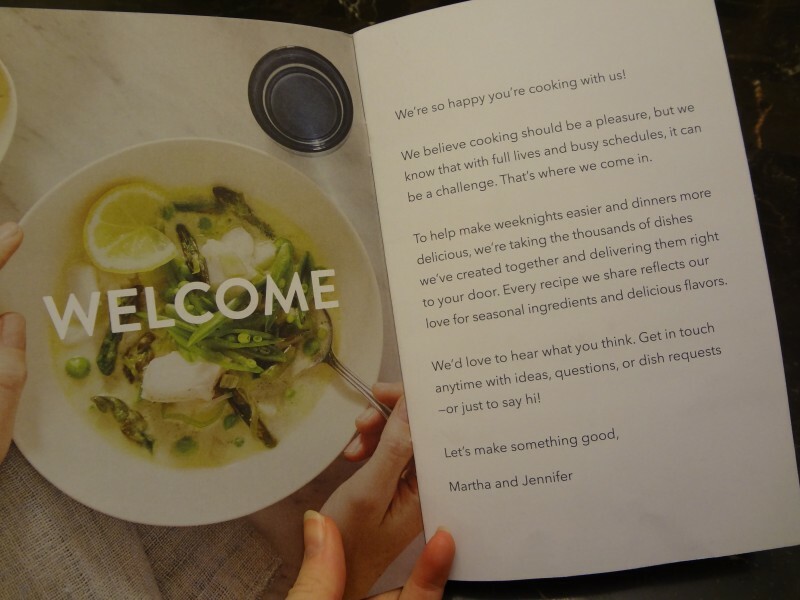 There are so many more meal subscriptions now. I’ve never heard of Martha Marley Spoon but it sounds good. I like that they send where products are sourced from, makes this company unique! Martha and Marley Spoon sounds wonderful to try. I do like the helpful recipe cards too. This sounds like a wonderful service. It would make meal planning so much easier! Everything looks good. I haven’t heard of the company but I definitely have to check it out. I’ve never tried using one of these services but the pictures make me want to try this brand. I usually get in a cooking rut so I feel like these would help on those nights I can’t think of something new. Sounds like an easy way to cook at home. I always seem to be missing an ingredient or two when I search for recipes. Looks like easy recipes to follow and it turns out delicious! I’d love to give this a try! The meals looked really good. I want to try a meal service but I keep window shopping but not buying yet. One of these days…………… I love roasted tomatoes!! I do it at least once a week sometimes more. These options all sound so good, and sure look delicious, I’m surprised I haven’t heard of them before. I must check it out. 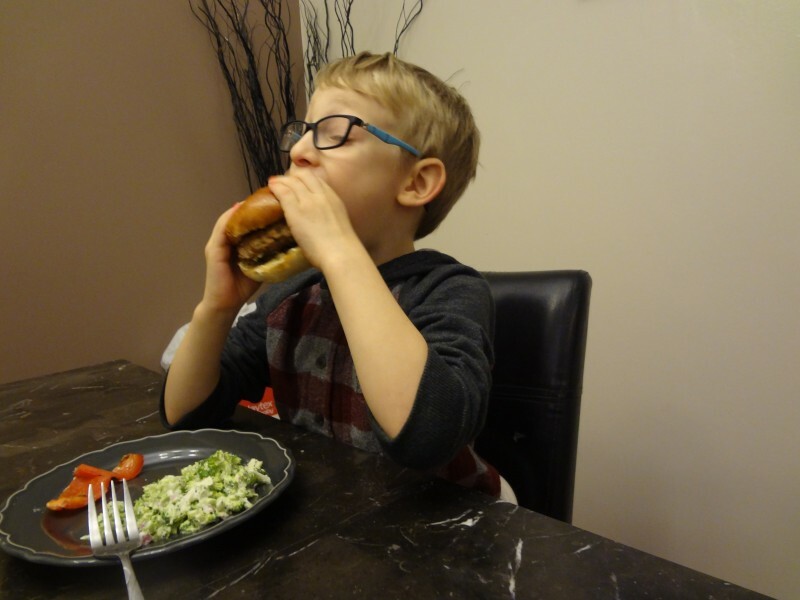 It is so nice your kids are willing and enjoy trying new things, and love so many veggies – wow!